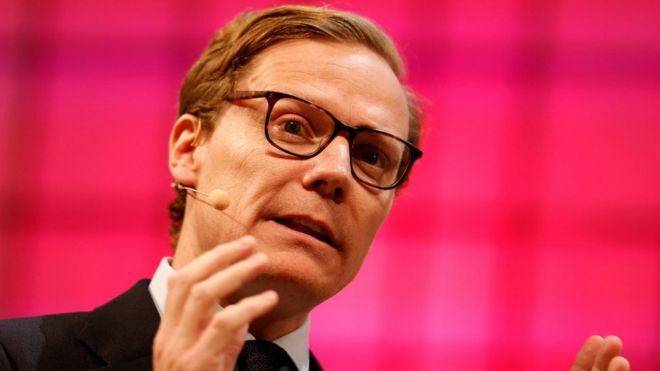 The suspended chief of Cambridge Analytica has been asked to appear before MPs again amid claims about the company's use of Facebook user data. The Digital, Culture, Media and Sport committee said evidence Alexander Nix gave to its fake news inquiry last month contained "inconsistencies". It said this includes his denial the company was supplied data by a firm behind an app that harvested personal details, or worked with Facebook data. Mr Nix was suspended by the London-based political consultancy on Tuesday after footage broadcast on Channel 4 appeared to show him suggesting tactics his company could use to discredit politicians online. In a letter, the committee chairman, Damian Collins, requested Mr Nix supply further evidence following material published in the media this week. He said MPs were interested in asking him about his "denial that your company received data from the Global Science Research company" and "your claim that you 'do not work with Facebook data, and... do not have Facebook data'." The parliamentary committee has also called for Facebook boss Mark Zuckerberg to give evidence about its use of personal data. Whistleblower Christopher Wylie, who worked with Cambridge Analytica, claimed it amassed the data of millions of people without their consent through a personality quiz on Facebook called This is Your Digital Life that was created by an academic for Global Science Research. Earlier, a High Court hearing on an attempt by the UK's information commissioner to search the office of Cambridge Analytica was adjourned until Friday. Elizabeth Denham is seeking a warrant to access to the databases and servers of the company amid claims it improperly used data from Facebook users on behalf of political clients. The move is part of her wider investigation into political campaigning. 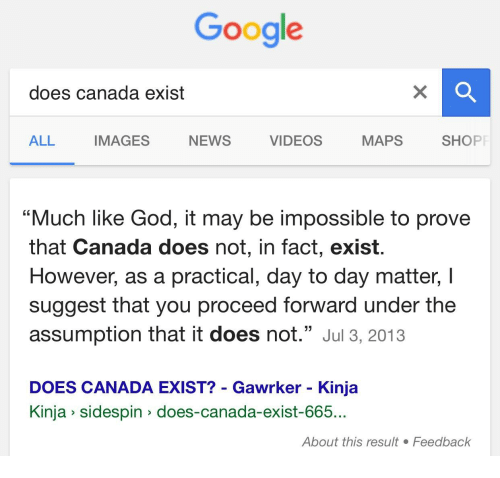 Even if Canada didn't exist I would have to invent it. Naw, we don't exist. Its only in my imagination that I'm a Canadian. I always want to know....if religions are so wonderful, why all the secrets? Johnson Joy, the chief information officer at the Department of Housing and Urban Development (Hud), is part of a Christian not-for-profit in Texas with Naved Jafry, who quit as a Hud adviser after inquiries about his professional history. Richard Dawkins is responding to what he called the “stirring towards atheism” in some Islamic countries with a programme to make free downloads of his books available in Arabic, Urdu, Farsi and Indonesian. The scientist and atheist said he was “greatly encouraged” to learn that the unofficial Arabic pdf of the book had been downloaded 13m times. Dawkins writes in The God Delusion about his wish that the “open-minded people” who read it will “break free of the vice of religion altogether”. It has sold 3.3m copies worldwide since it was published in 2006 – far fewer than the number of Arabic copies that Dawkins believes to have been downloaded illegally. The Richard Dawkins Foundation for Reason and Science recently merged with the Washington DC-based Center for Inquiry. Dawkins said the CFI decided on “a more systematic programme” of translating his work in ebook form following “stirrings toward atheism in Iran and other Islamic countries”. It will be the first time his work has been made available in Arabic, Urdu, Farsi and other languages of Islamic countries. The first book to be translated will be River Out of Eden: A Darwinian View of Life, which tackles evolution and which is Dawkins’ shortest book. The Center for Inquiry hopes the new versions will be available on its website by the end of this year. It will steer clear of books that already have legitimately published translations.